Zbrush is a program whose interface has always puzzled me. I think I'm starting to make some sense of the sculpting tools though. 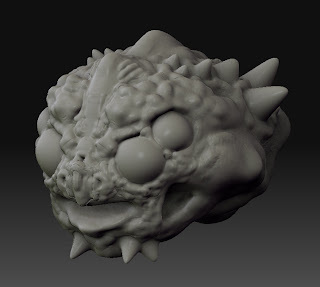 Here's a little monster head, probably spent 30-45 minutes on it.